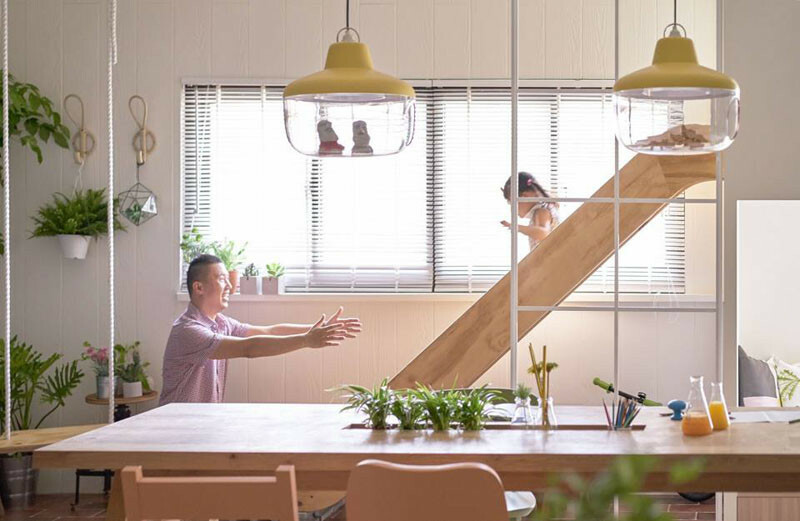 When HAO Design were asked to design this apartment for a family with a young child, they included a dedicated play space as a significant feature of the apartment. 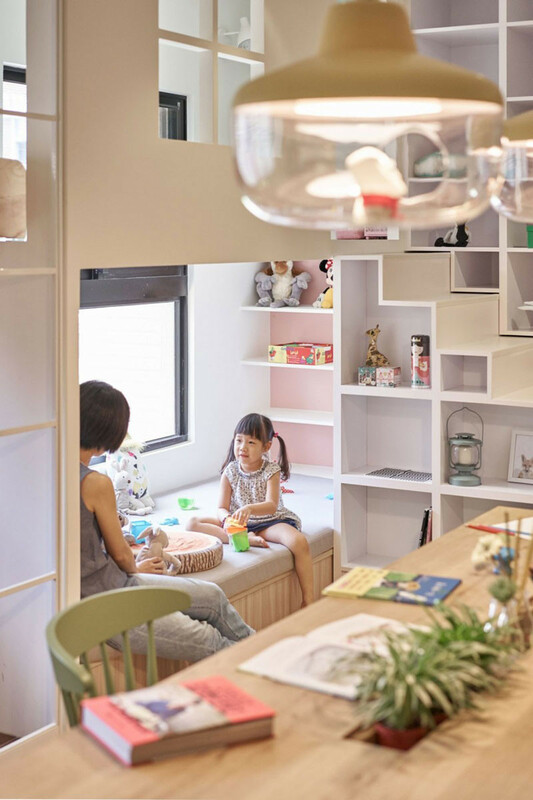 By having a lofted section, it allows for a cubby with cozy seating to be created underneath. 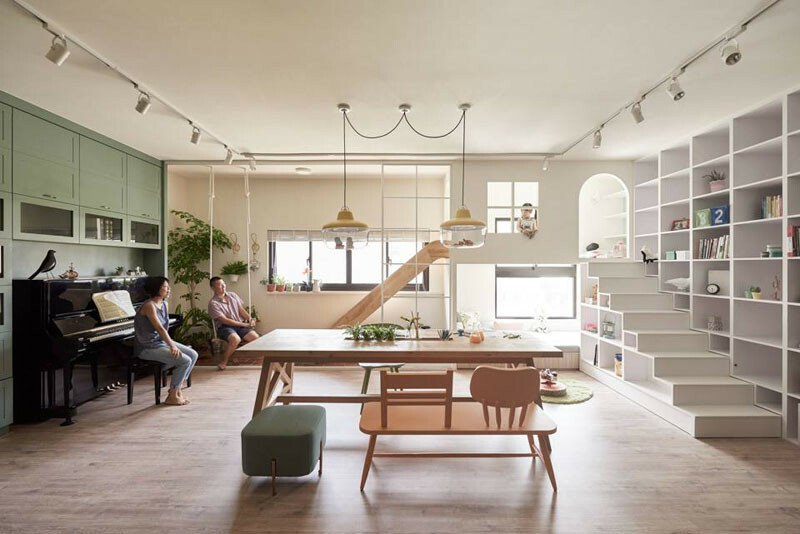 The stairs leading up to the lofted area also double as a bookshelf and toy storage. 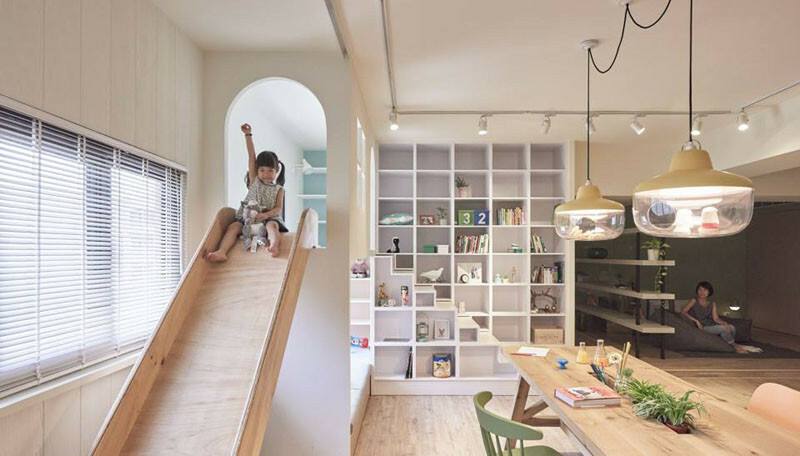 And, of course, there’s the slide, because every play space needs a slide.